More than a year after a racism scandal decimated her business empire, celebrity cook Paula Deen returned to the "Today" show Tuesday to discuss her comeback plans, the events of the past 12 months, and to once again apologize for her words. "Words are so powerful. They can hurt. They can make people happy. Well, my words hurt people," Deen told host Matt Lauer of the lesson she learned from her recent struggles. "They disappointed people and frankly, I disappointed myself. And for that, I’m so sorry, I’m so sorry for the hurt that I caused people because it went deep." The folksy southern cook and restaurateur saw her sponsorship and endorsements deals crumble in the wake of a court deposition in which she admitted to using racial slurs in the past. Deen and her brother Bubba Hiers were accused of harassment and discrimination by a former employee. Because of the charges, major partners dropped Deen, including the Food Network, Target, and Walmart. 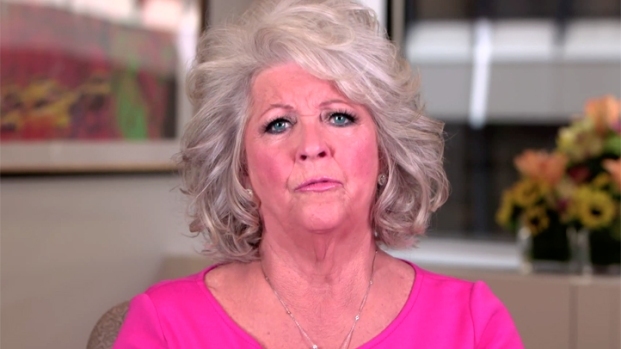 Embattled Food Network star Paula Deen released a video statement addressing her past use of racial slurs, which overnight became a national scandal. In the clip, Deen appears visibly upset and at times close to tears. "I beg for your forgiveness.... please forgive me for the mistakes that I've made," she said. A federal judge eventually threw out the lawsuit. Deen, 67, said she was disappointed that the ruling received "almost no attention" in the media. Looking back at her tearful appearance on "Today" during the height of the scandal in 2013, she referred to herself as a "woman in trauma" trying to understand what had happened. Deen said she had spent the intervening months in reflection. "I absolutely understood it, but I had to go home, sit on my sofa and get off the merry-go-round. I had to remove myself and sit quietly, so I could think and see things from all angles." Now ready to move forward, she's launched a subscription-based online channel that will air her old cooking shows – Deen purchased the rights from The Food Network – as well as new content. Deen’s son, Jamie Deen, who also appeared on "Today" along with brother, Bobby Deen, said the venture has developed 100 new shows. Deen also told Lauer a documentary is the works that will air on her new network. "I’ve learned so much over the year. I really feel like it’s going to require another book, but we are working on a documentary because I feel like everybody needs to know the whole entire story."